Use the menu below to select the appropriate Ivico diesel engine. 211100 F32AM Iveco F32AM series diesel engine. 211101 F32AM1A Iveco F32AM1A Genset Engine Spare Parts Catalog. 211120 F32MN Iveco F32MN series diesel engine. 211121 F32MNSX00 Iveco F32MNSX00 Industrial Diesel Engine Spare Parts Catalog. 211122 F32MNSX01 Iveco F32MNSX01 Industrial Diesel Engine Spare Parts Catalog. 211123 F32MNT X20 Iveco F32MNT X20 Industrial Diesel Engine Spare Parts Catalog. 211124 F32MNA A85 Iveco F32MNA A85 Genset Engine Spare Parts Catalog. 211125 F32MNSA85 Iveco F32MNSA85 Genset Engine Spare Parts Catalog. 211126 F32MNT A85 Iveco F32MNT A85 Genset Engine Spare Parts Catalog. 211127 F32MNT X88 Iveco F32MNT X88 Genset Engine Spare Parts Catalog. 211140 F32SM Iveco F32SM series diesel engine. 211141 F32SM1A Iveco F32SM1A Genset Engine Spare Parts Catalog. 211160 F32TM Iveco F32TM series diesel engine. 211161 F32TM1A Iveco F32TM1A Genset Engine Spare Parts Catalog. 211162 F32TM1X Iveco F32TM1X Genset Engine Spare Parts Catalog. 211180 F3AE Iveco F3AE series diesel engine. 211181 F3AE0684D Iveco F3AE0684D Industrial Diesel Engine Service (workshop / repair) Manual. 211182 F3AE0684E Iveco F3AE0684E Industrial Diesel Engine Service (workshop / repair) Manual. 211183 F3AE0684G Iveco F3AE0684G Industrial Diesel Engine Service (workshop / repair) Manual. 211184 F3AE0684J Iveco F3AE0684J Industrial Diesel Engine Service (workshop / repair) Manual. 211185 F3AE0684L Iveco F3AE0684L Industrial Diesel Engine Service (workshop / repair) Manual. 211186 F3AE0684N Iveco F3AE0684N Industrial Diesel Engine Service (workshop / repair) Manual. 211187 F3AE0684P Iveco F3AE0684P Industrial Diesel Engine Service (workshop / repair) Manual. 211188 F3AE0687A Iveco F3AE0687A Industrial Diesel Engine Service (workshop / repair) Manual. 211189 F3AE0687A*B301 Iveco F3AE0687A*B301 Industrial Diesel Engine Spare Parts Catalog. 211190 F3AE0687A*B302 Iveco F3AE0687A*B302 Industrial Diesel Engine Spare Parts Catalog. 211191 F3AE9687A Iveco F3AE9687A Industrial Diesel Engine Service (workshop / repair) Manual. 211192 F3AE9687A*E001 Iveco F3AE9687A*E001 Industrial Diesel Engine Spare Parts Catalog. 211193 F3AE9687B Iveco F3AE9687B Industrial Diesel Engine Service (workshop / repair) Manual. 211194 F3AE9687B*E001 Iveco F3AE9687B*E001 Industrial Diesel Engine Spare Parts Catalog. 211195 F3AE9687C Iveco F3AE9687C Industrial Diesel Engine Service (workshop / repair) Manual. 211196 F3AE9687C*E001 Iveco F3AE9687C*E001 Industrial Diesel Engine Spare Parts Catalog. 211197 F3AE9685A*E001 Iveco F3AE9685A*E001 Genset Engine Spare Parts Catalog. 211198 F3AE0681B Iveco F3AE0681B Automotive Diesel Engine Service (workshop / repair) Manual. 211199 F3AE0681D Iveco F3AE0681D Automotive Diesel Engine Service (workshop / repair) Manual. 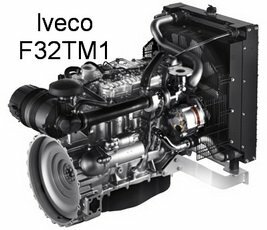 211200 F3BE Iveco F3BE series diesel engine. 211201 F3BE0686A Iveco F3BE0686A Industrial Diesel Engine Service (workshop / repair) Manual. 211202 F3BE0686C Iveco F3BE0686C Industrial Diesel Engine Service (workshop / repair) Manual. 211203 F3BE0687A Iveco F3BE0687A Industrial Diesel Engine Service (workshop / repair) Manual. 211204 F3BE0687A*B301 Iveco F3BE0687A*B301 Industrial Diesel Engine Spare Parts Catalog. 211205 F3BE0687A*B302 Iveco F3BE0687A*B302 Industrial Diesel Engine Spare Parts Catalog. 211206 F3BE9687A Iveco F3BE9687A Industrial Diesel Engine Service (workshop / repair) Manual. 211207 F3BE9687A*E001 Iveco F3BE9687A*E001 Industrial Diesel Engine Spare Parts Catalog. 211208 F3BE9687B Iveco F3BE9687B Industrial Diesel Engine Service (workshop / repair) Manual. 211209 F3BE9687C Iveco F3BE9687C Industrial Diesel Engine Service (workshop / repair) Manual. 211210 F3BE0685A*B001 Iveco F3BE0685A*B001 Genset Engine Spare Parts Catalog. 211211 F3BE0685A*B101 Iveco F3BE0685A*B101 Genset Engine Spare Parts Catalog. 211212 F3BE0685C*B001 Iveco F3BE0685C*B001 Genset Engine Spare Parts Catalog. 211213 F3BE9685A*E001 Iveco F3BE9685A*E001 Genset Engine Spare Parts Catalog. 211214 F3BE0684A Iveco F3BE0684A Diesel Engine for Agricultural applicatin Service (workshop / repair) Manual. 211215 F3BE0684E Iveco F3BE0684E Diesel Engine for Agricultural applicatin Service (workshop / repair) Manual. 211216 F3BE0684E*B101 Iveco F3BE0684E*B101 Diesel Engine for Agricultural applicatin Spare Parts Catalog. 211217 F3BE0684G Iveco F3BE0684G Diesel Engine for Agricultural applicatin Service (workshop / repair) Manual. 211218 F3BE0684H Iveco F3BE0684H Diesel Engine for Agricultural applicatin Service (workshop / repair) Manual. 211219 F3BE0684J Iveco F3BE0684J Diesel Engine for Agricultural applicatin Service (workshop / repair) Manual. 211220 F3BE0681A Iveco F3BE0681A Automotive Diesel Engine Service (workshop / repair) Manual. 211221 F3BE0681C Iveco F3BE0681C Automotive Diesel Engine Service (workshop / repair) Manual. 211222 F3BE0681E Iveco F3BE0681E Automotive Diesel Engine Service (workshop / repair) Manual. 211223 F3BE0681G Iveco F3BE0681G Automotive Diesel Engine Service (workshop / repair) Manual. 211224 F3BE0681M*B722 Iveco F3BE0681M*B722 Automotive Diesel Engine Spare Parts Catalog. 211240 F3CE Iveco F3CE series diesel engine. 211241 F3CE0684A Iveco F3CE0684A Diesel Engine for Agricultural applicatin Service (workshop / repair) Manual. 211242 F3CE0684B Iveco F3CE0684B Diesel Engine for Agricultural applicatin Service (workshop / repair) Manual. 211243 F3CE0684E*E004 Iveco F3CE0684E*E004 Diesel Engine for Agricultural applicatin Spare Parts Catalog.